A bustling day in Stamford Lincolnshire that begins at the crack of dawn, providing the locals with farmer’s produce, exotic foods, fabric, clothing, homewares and so much things to do in Stamford. Retail aside, it’s a very sociable day too, with locals meeting for coffee or lunch and a good ole chinwag. Us Stamfordians like to talk. Apart from me – I may be a Stamfordian, but I’m a miserable git also. Well, sometimes anyway. The market was also one of the first reasons why I considered taking up a retail unit at the Stamford Corn Exchange Shopping Arcade. The Exchange is based on Broad Street where the market pitches up every week and very much feels like an extension of the eclectic stalls, without the cold winds and wet weather of course. Whilst the website will always be my main focus, I was keen to see how Smithers was received by the locals and large array of tourists that visit the town. Our Gift Emporium at the Shopping Arcade has now been up and running for a few months, alongside our fellow Corn Exchange retailers. The response has been good and footfall is increasing all the time. 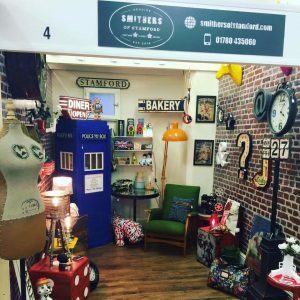 Besides Smithers, there is a vast array of goods on offer – children’s clothing and toys, ladies accessories, vinyl records and a massive display of wall cabinets showcasing quirky gifts and everything you can imagine from vintage homewares, handmade blankets, aromatherapy products and even bespoke pieces made from forks. At the heart of the space is the Stage 2 Coffee House where you can indeed partake in coffee, lunch and a chinwag whilst you take a break from the shopping. 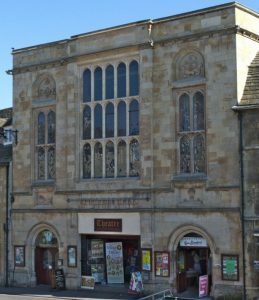 Of course, its not all about retail at the Stamford Corn Exchange, it is, after all a theatre first and foremost. You can expect to see the usual pantomines and plays there, but there is also a great variety of shows and performers on offer. The young and brilliant comedian Josh Widdecombe has recently toured here and visited the shopping arcade. 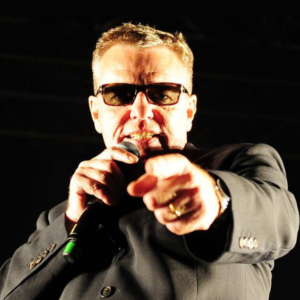 Sadly I missed Josh, I could tell you why but it might put you off your lunch, but I did manage to catch a show with Suggs from Madness though, which was bloody brilliant, at Josh sorry I’ve not put a photo of you, I just thought Suggs is much better looking than you, no offence towards gingers honest. You can’t miss our unit on entering the Exchange – the red brick wallpapered walls provide the perfect backdrop to the treasure trove of goods that decorate the space. 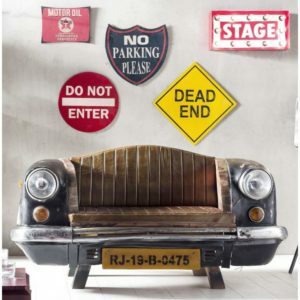 Iconic and local vintage street signs, and vibrant antelope heads strut their stuff, whilst twinkling fairground signs and quirky lamps never fail to catch your eye. Bully the Patriotic Puppy Stool is a winner with the little ones and our selection of cool cushions are hard to ignore, and even harder not to indulge in. 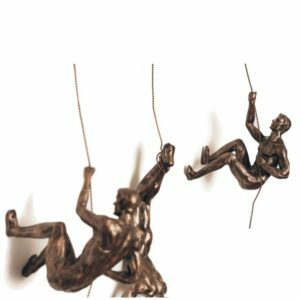 Trinkets, ornaments and home accessories like our Wall Hanging climbing man wall sculpture’s have proved hugely popular for presents, and if the Smither’s team are not on hand to help, then there’s always plenty of other staff members to assist in gift buying. I have spent so much of my time sourcing furniture, it’s made a refreshing change to concentrate on our gift options and home accessories for the Emporium. 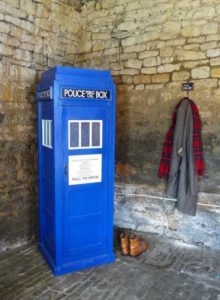 Smither’s Tardis and Traditional Red Phonebox have taken pride of place at the Exchange, and there are small storage options and tables available also. A collection of our chairs have been popular, as have the many lighting options we offer. 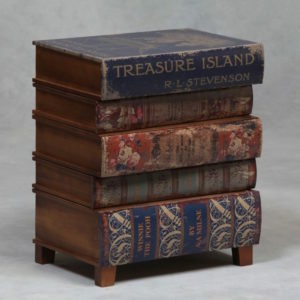 My favourite pieces at the Shopping Arcade are the Children’s Treasure Cabinet – a beautiful drawer storage unit that looks like a large collection of your children’s favourite books. The Retro Copper Telephone – copper is still trending massively at the moment and this iconic shaped phone looks supremely cool on your desk or side table, and lastly our Cinematic Light Boxes that allow you to display your very own personalised message. You don’t know how close I’ve come to writing something on there that I really shouldn’t – I love a colonic, for example. I’ll stop now, as it was a steep downward hill from that point onwards. Anyway, all these proper cool products are available to buy from the Smithers Gift Emporium, and the best bit?! We are currently holding a half price sale, so all these amazing products are available with 50% off! You’ll need to hurry though, as the sale is due to finish this Saturday 13th August. Or is it?! Depending on my mood, the weekend, the weather, if Josh Widdecombe tweets me back, it may be extended. Watch this space folks. I do hope you’ve logged off by now and are half way down to the Shopping Arcade as I type? If you’re not, there’s gonna be trouble. Move people, move!! never Heard of Stamford Lincolnshire? its been voted best place to live in the Uk twice now, get your backsides to our loverly little English town. Until next time my friends – have a good one and get shopping in stamford.